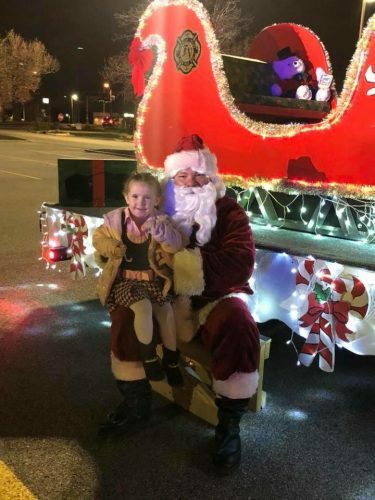 Santa is visiting kids and their families in local neighborhoods from 6:00-8:00pm in the evening. If he doesn’t make it down your street, you can also visit with him from 8:00-9:00pm at the end of his route. Please check our Facebook page for the most recent news about which neighborhood he will be visiting. And don’t forget, Santa relies on his Firefighter elves, so a high volume of emergency calls may affect his visit. Any changes to the schedule will be noted on Facebook as soon as possible.